A few years back, a good friend of mine struck out in his first-ever billfish tournament. Now, he&apos;s no amateur. He was born on a boat (literally), manages a marina, and has helped his commercial-captain father run vessels offshore for as long as he can remember. But by the time the tournament came to an end, he was beat. Exhilarated? Yes, but completely and utterly exhausted. He&apos;d spent several days holding on—and occasionally lying down—while trying to spot, fight, and tag fish in surging seas. In short, he learned that when it comes to boating, there are the billfish guys, and then there&apos;s everybody else. Recreational mariners tend to avoid big water, but competitive anglers live in it. 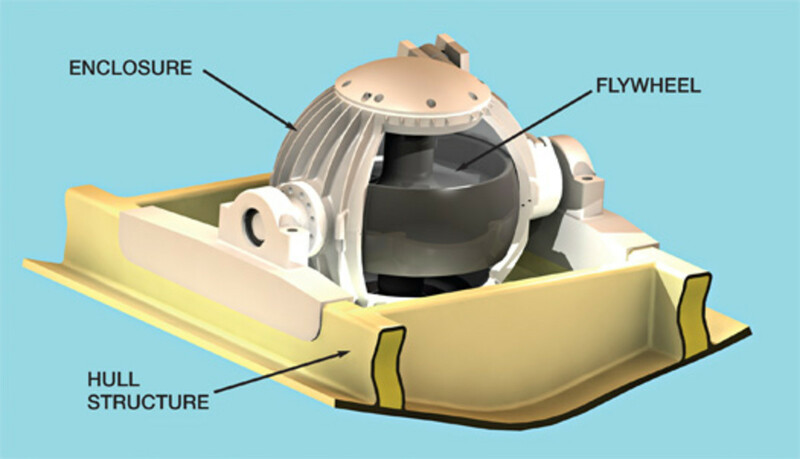 The Seakeeper Gyro has a relatively small flywheel that spins at around 10,000 rpm. My friend is now a seasoned tournament angler who, when asked about the rough conditions he often faces, gives answers that are typical of the billfish crowd: "The roll doesn&apos;t bother me" or "It&apos;s all part of the fun." It&apos;s possible he&apos;s telling the truth. But more likely he offers up such statements because he thinks he&apos;s got no choice: There&apos;s nothing he can do about big-sea rock and roll. But he&apos;s wrong, thanks to a new stabilizing gyro. The Seakeeper Gyro, a beach ball-size, control-moment gyroscope (CMG) that reportedly eliminates zero- and low-speed roll, will change the offshore fishing experience for my friend and every other tourney fiend who&apos;s smart enough to buy it. 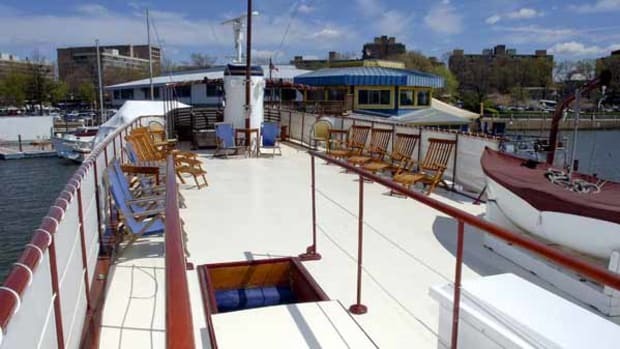 Seakeeper is the brainchild of Shep McKenney, creator of the Hinckley Picnic boat and a passionate boater who&apos;s spent a lifetime fishing. Over the years he&apos;s come to the conclusion that "billfishing is heaven, but getting beat up is hell." It&apos;s that hard-won belief that drove him to develop an innovation that solves what has long been considered an unsolvable problem: vessel roll as a result of rough seas. Until now CMGs have been used primarily to stabilize spacecraft. 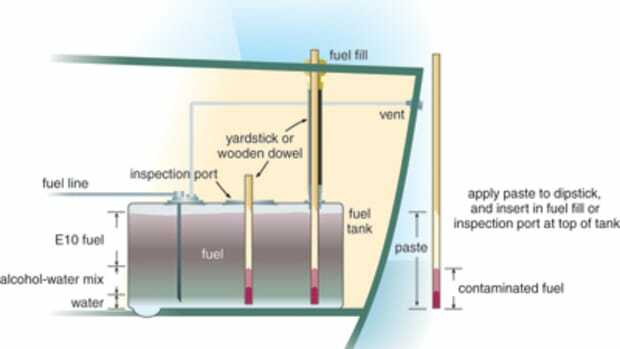 In spite of this uber high-tech application, the Seakeeper&apos;s mechanics are relatively simple. It uses the physics of gyro-dynamics to spin a heavy flywheel at about 10,000 rpm within what is essentially a vacuum. This eliminates air friction and allows the wheel to produce approximately three and a half tons of force, which counteracts boat roll over a wide range of sea states. 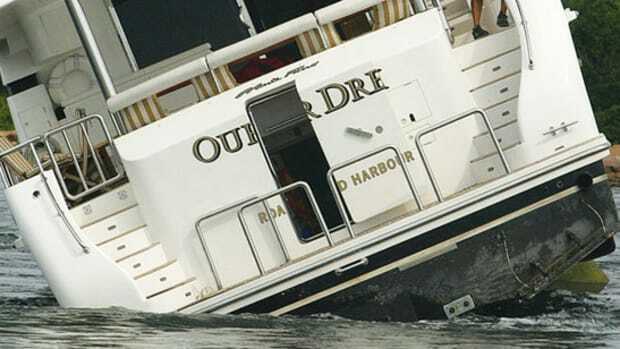 Once the unit is activated and up to operating speed—a process that takes about 20 minutes—the orb tilts fore and aft a few times in reaction to boat roll, and the roll ends. It&apos;s really that simple. 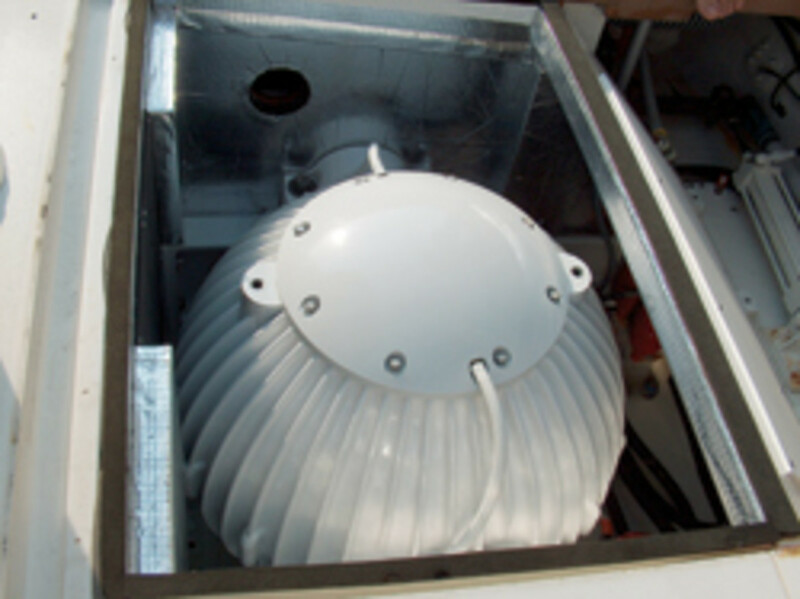 Seakeeper can be either retrofitted to existing vessels or (preferably) installed as the boat is being built. It can be placed anywhere in a boat&apos;s hull as long as there is sufficient structural support. And it requires very little maintenance. Boatbuilders have already begun to recognize the revolutionary nature of Seakeeper. Earlier this year the Azimut-Benetti group—one of the world&apos;s most forward-thinking and profitable boatbuilding companies—ordered 600 Seakeeper Gyros. 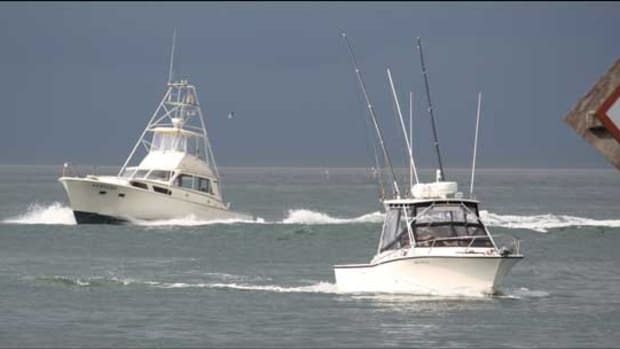 It also asked that Seakeeper not sell to any direct competitors over the next few years, a category that fortunately does not include sportfishing boats. The message here is loud and clear: One of the world&apos;s largest boatbuilders knows it hit the jackpot in teaming up with Seakeeper, and it doesn&apos;t want competitors to have access to the Gyro. At least not yet. 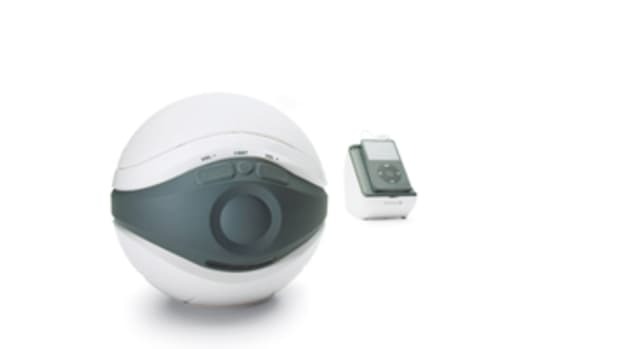 The orb-shape Gyro can be retrofitted, though it&apos;s preferable to have it installed as a boat is being built. When it came time to select a demonstration boat for Seakeeper, McKenney opted for a 43-foot Viking. 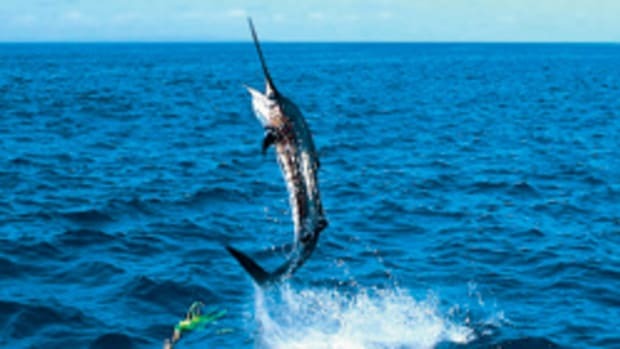 He wanted to showcase its stunning effectiveness on a vessel that appeals to the boaters he believes need the Gyro the most: the billfish guys, who spend more time in rough seas than anyone else. "They&apos;ve just got to experience it," McKenney says emphatically, "and when they do, they&apos;ll never go back." Not only has he convinced Azimut, he got Power & Motoryacht&apos;s own Capt. Richard Thiel out on the Seakeeper&apos;s demo boat. Thiel returned a convert: "I can tell you: This is the future." 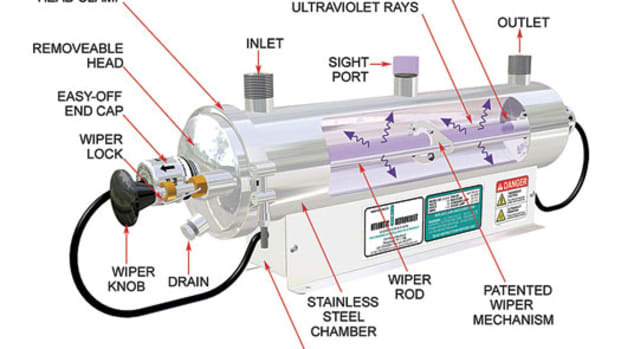 The Seakeeper Gyro is unique because it&apos;s not just another fancy gadget designed to make your boat look better or to make competitive angling easier for the masses. Instead, the Gyro goes straight to the heart of the billfishing experience and fundamentally changes it. Days that were once unfishable are now not only fishable but enjoyable—and safer. No one onboard ends up wasting time holding on or sitting down when they want or need to get in the game. 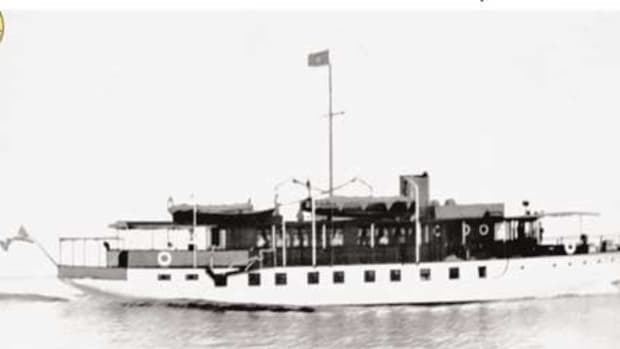 The boat sits flat-calm so that everyone—captain to gaffman—can focus one hundred percent of his or her energy on sighting, hooking, battling, and boating fish. No one is distracted by rolling. Real anglers don&apos;t fish for the money; they fish because they love the game. They live for the game. Well, the Seakeeper Gyro just made the game a whole lot better. Seakeeper is a sponsor of the Big Game Tournament Guide.